iPhone apps kick started the mobile app revolution and still remain the priority of every business due to its appeal to the premium users. And for any enterprise or startup that wishes to quickly capitalize on its mobile app strategy, iPhone apps turn out to be the most viable investment. But with such lot of premium users and high monetary potential, comes an equally challenging responsibility- to create a highly sophisticated and engaging application that is worth the money users pay for. 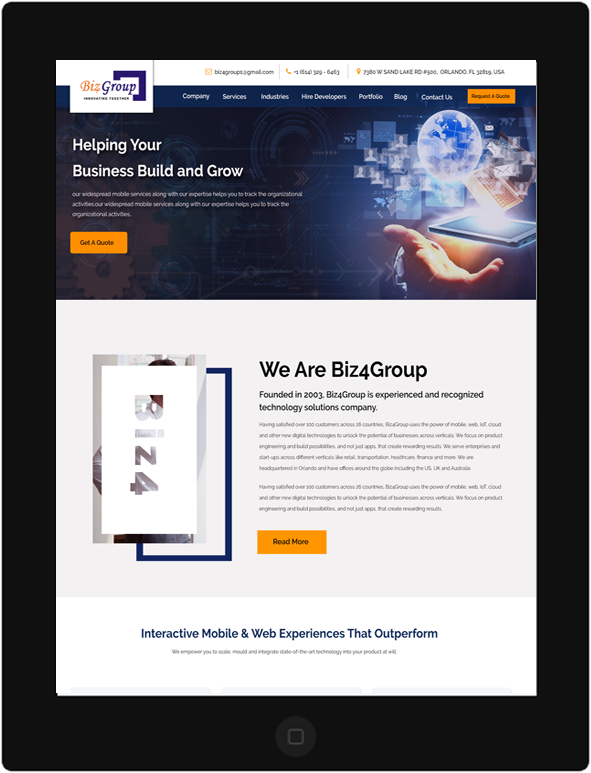 And it is at this task the iPhone app developers for hire at Biz4Groupexcel- creating not just applications but products that truly reflect your business in the digital space, which you can deploy to either enhance customer engagement or to add a new revenue channel, or if you prefer, both. iPhone apps conventionally use the flat design paradigm that is known to produce simple and neat interface. The design procedure employing minimalistic approach has been found to be popular among all age groups, thus putting minimum barriers to your choice of target customers. This framework allows iPhone apps to leverage the power of augmented reality to help your business gain a technological edge on your competitors and experience exponential growth and engagement in your business. This API allows your health application to seamlessly integrate with Apple Watch and many other fitness tracking gadgets to capture maximum possible users and consolidate your position in overall health segment. For startups, we have a competent and dedicated team of iPhone app developers who can carefully screen your ideas through their expertise and prototyping and scavenge any inefficiency to create a well-refined application upon which you can build your business with confidence. We can create bespoke user interface that generates amazing user experience, thus pushing the level of engagement that you can later turn into revenues. Our developers are well-equipped to deploy cutting-edge technologies like augmented reality and virtual reality to not just lend your business the technological supremacy in industry, but also pave the way for all future innovations. Convert any web application or mobile application of any other platform to iPhone application and vice versa.